Is Reseller Hosting Right For You? It is fairly easy to get in to the business of reselling web hosting accounts these days, but in order to truly determine whether this type of thing is right in your personal situation you will need to do a bit more digging. Whether you are just hoping to make a little extra cash on the side to help pay bills, or eventually start up your own internet hosting empire, this guide will hopefully shine some light on what to look for and what to avoid. 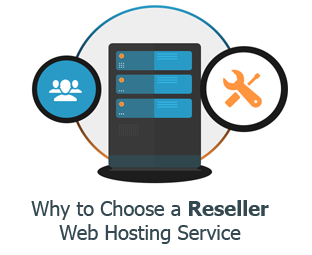 In this article, we will show you Why to Choose a Reseller Web Hosting Service. 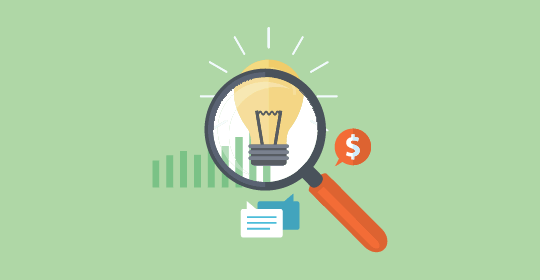 Do You Have Access To Potential Clients? Reseller hosting packages are very popular among businesses and individuals who already have an online presence with access to potential clients. This includes graphic designers, freelance writers, script developers, and so on, because by the very nature of their business they will come in contact with clients every day who may need web hosting. This is obviously not required in order to start reselling, and even become successful at it, but since the hosting market is so competitive it can be seen as a great advantage. If you regularly sell blogs, other websites, or just like to flip domains every now and then, you could also make use of a reseller hosting account to earn more money. For example: you buy a nice looking new domain name, setup a small blog on it and start to bring in a bit of traffic, then you sell it. But with a reseller account it doesn't end there, because you can also offer hosting to whoever bought the blog or domain name and that will set you up with a monthly revenue stream that can be multiplied over and over as you continue to buy and sell more domains and websites. Of course it will be of great help if you are at least somewhat familiar with hosting websites and the terms used within the industry, but the point is that you do not need to be some kind of technical wizard or study networking for years. The most important thing to be concerned about, as mentioned above, is whether or not you can bring in any sales in this highly competitive business. Most of the technical issues involved in the process will be taken care of by whichever company you decide to resell for, and they will usually provide you with a suite of great tools in order to streamline your work. Through the use of cPanel and WHM, which will be offered to you free of charge by most reputable companies which offer reseller accounts, you can effectively separate different segments or categories of your online presence. For example: you could group together all of your finance blogs, or even setup partitions for individual websites. This can come in handy when you want to make sure that each of your websites gets a fair share of the server resources available. You can be very specific with this too – by limiting the amount of disk space or bandwidth, for example – which will allow you to be more confident that your popular websites won't hamper the growth of your new ones. Although you don't really need a reseller account in order to setup these kinds of partitions between your projects – because you could do much the same on a dedicated server – but the fact is that this is one of the most cost-effective ways of doing it. Renting your own dedicated server would generally cost you a lot more, and probably would not pay for itself during the early stages of use while you are still attempting to monetize all of your various projects. There are a few more things to keep in mind before you rush off to start building your empire, and these quick tips could save you a lot of time and headaches in the future. Realistically assess your situation and ability to bring in customers. It's good to have high hopes and a lot of confidence in your abilities, but it's also good to start small and work your way up. Start with a reseller plan that you think you will be able to fill with clients almost immediately. Research common hosting packages and prices. Can you compete with the prices that other hosting providers are offering? What else can you offer that they can't? What is your hook? Be a shameless self-promoter. As mentioned already, this business is highly competitive and there are thousands of hosting providers to choose from. You need to be ready to spend a lot of time and/or money in order to bring in clients. Now, having said all of that, nobody except yourself can answer the main question of whether reselling is right for you. As with any other new business opportunity that you hear about, it is very important to do your research and make an informed decision that will benefit you.